Livingston have released midfielder David Robertson and signed 22-year-old striker Scott Pittman from junior outfit Bo'ness United. 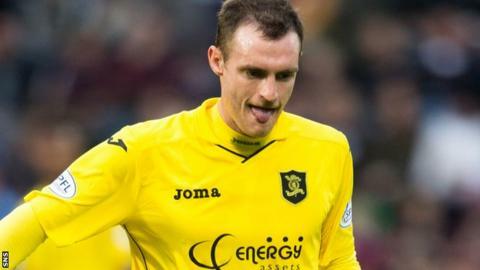 Robertson's contract was terminated by mutual consent, according to the Livingston website, having played 19 times this season. The 28-year-old joined the Scottish Championship club after leaving Greenock Morton in June. He previously played for Dundee United and St Johnstone. Livingston manager Mark Burchill said he had been trailing Pittman for some time. "Scott had offers from three other SPFL clubs but decided his immediate future lies with Livingston," he said. "Scott's a local lad and that probably played a large part in his decision to come here."